About us - Randwick Village Hall "at the heart of the community"
Randwick Village Hall and Playing Fields Committee is a registered charity (No 1043758) that serves the community by providing a resource to further social, educational, recreational and leisure links with in the community and surrounding areas with the object of improving quality of life for those inhabitants. In 1946 the village raised todays equivilent of £18,000 to purchase the playing field. Between 1957 and 1962 a further £30,000 was raised to construct the current building. 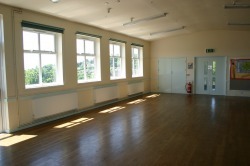 In 2008 £71,000 was spent on a major renovation and energy efficency scheme. In 2009 £40,000 was spent building a modern toilet block, followed a year later by a complete kitchen refit. Today Randwick is one of the most modern halls in the Gloucestershire. 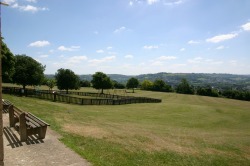 The hall is situated at the top of the village playing field and enjoys spectacular views across Strouds five valleys. A well equiped modern playground is available for the children to enjoy.